Sierra Dawn Products manufactures and markets specialty, biodegradable cleaning products and other accessories for the outdoor enthusiast and traveler. 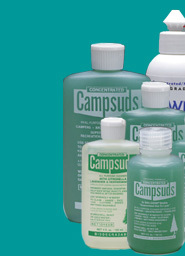 Our super-concentrated Campsuds product is the industry leader, and the original all-purpose outdoor cleaner since 1968! Our products are formulated to biodegrade quickly and completely for minimal environmental impact, and to provide our customers with exceptional quality, value and convenience.